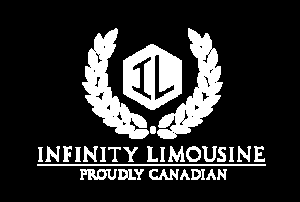 Infinity Limousine has one of the most luxurious fleets in Ottawa. They service corporations, graduations, partys, weddings, prom and airports. They have an exclusive list of celebrity and fortune 500 clients. With fair prices and prompt service Infinity Limousine continues to be the highest rated private car services in Ottawa. Visit their Facebook Page to see which A-Listers, Rockstar and Ottawa Senators choose them as their car service. Robinson Limousine is one of Ottawa oldest private car service companies. With an SUV, party bus, limo and excalibur in their fleet you’ll be able to find something that matches your outfit. Joining their email list will give you a twenty percent discount on travel during off peak hours. The Ottawa Limo company has some of the best rates for private hire services. Limos, towncars, vans and SUVs will have you feeling like royalty when you arrive at your destination. Premier Limousine offers limos, sedans, SUVS and even have a few classic cars for you to choose from. If you are looking to arrive in style, their 1942 Rolls Royce might peak your interest. Serving businesses, weddings, birthdays and proms Premier Limousine will have the ride to match your style. With a hummer and limousines this company works with local Ottawa restaurants to offer special service on date night. They can accommodate up to 20 passengers for your next event. Rolling Luxury promises that your event will be unique and they offer peace of mind when booking with them. They have great rates that you should consider when booking your next chauffeur. They serve small groups and large groups. They even offer more economical choices like school busses and coach service. Elite Limousine offer all inclusive rates, no hidden fees and will wait up to 15 minutes for pickups. Their fleet includes a wide range of black white vehicles from cars, to suvs, busses and limos. Capital Limousine can accommodate groups from 4-22 people in size. They offer a modest fleet of sedans, suvs, limousines and party bus. They serve weddings, graduations, and corporate services. For the budget conscious consumer East Coast Limos offers a range of cars, SUVs, busses and limos. They service proms, graduations and airport pick ups. Millennium offers ground transport in the nation’s Capital. As per their website they have security clearance that gain the business working with VIP guests and diplomats who visit Ottawa. The offer a Lincoln Sedan, SUV, Limo and party busses and more.